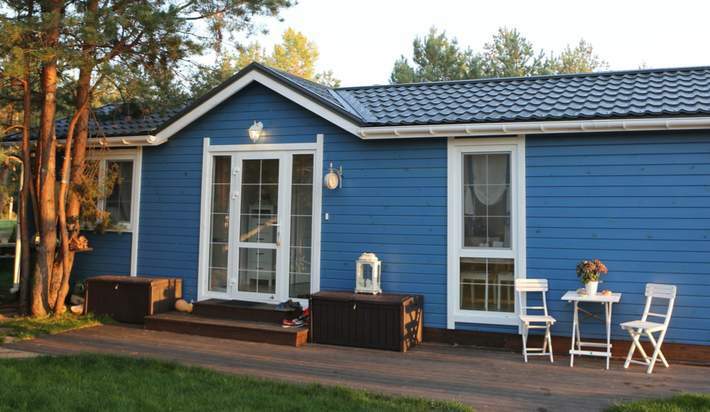 Accessory dwelling units -- often called granny flats, mother-in-law suites, garage apartments and even tiny houses -- are one of the most talked about trends in real estate. These extra living spaces don't just make a great place for loved ones to stay; they can also offer another income stream. Extra Space: First and foremost, granny flats mean more space for guests and family while still offering the privacy and amenities of a home. Have friends over, invite your family to stay and help with the new baby, provide elderly parents with a low-maintenance living situation or give your partner a home office. Added Income Potential: Many homeowners use their ADUs as short-term or permanent rental units. A long-term tenant could provide consistent monthly income, which might help make your mortgage payment a little more affordable. If you're planning to build one, make sure it's allowed by your HOA. Possible Increase in Home Value: A second living area on the same property could increase your property value, especially if you've had steady tenants. Just be sure to keep the unit well-maintained. While the upsides are plentiful, ADUs are only beneficial if they're legal. Most cities have detailed rules and regulations regarding building and renting these units. Have questions about adding an ADU to your property? Or have your eye on a property that already has one? Please get in touch. Content provided by Outbound Engine. Get Twice-Monthly Tips on Mortgages, Personal Finance and Home Design. 5 times Faster Than a traditional Mortgage! The TBD123 Program by King Financial is just how it sounds: To Be Determined. Secure your financing beforehand. The Buyers Development Program by King Financial helps homebuyers prepare themselves financially for a home purchase.